Spotted this Cadillac Escalade just outside of the city center of Las Vegas, Nevada. 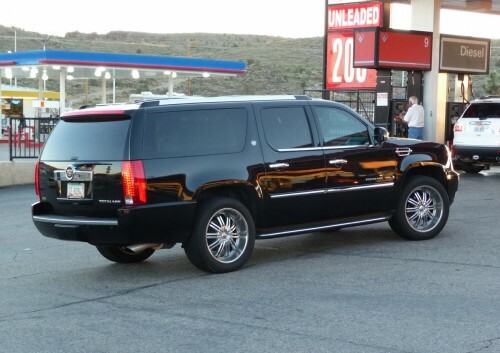 This one was coming in for gas at a local 7/11 – and I was quick to snap a photo. We don’t get to see to many Escalades in Europe, so this was a real treat for me. This entry was posted on Monday, August 3rd, 2009 and is filed under Cadillac.